Ellen graduated from Sydney University in 1979 and established a name for herself in North Sydney where she practiced for 22 years before working in Northbridge from 2001 till early 2014. 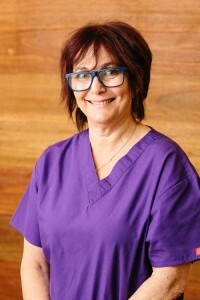 Ellen prides herself on being a very caring practitioner and has always kept up to date with the latest philosophies, techniques and materials in dentistry. She strongly believes in educating patients so they can make informed decisions regarding their treatment options. Her aim is to always leave her patient’s mouth in a realistic and easily maintainable condition suitable to their individual habits.